Without any surprise, Indonesia is considered to be one of the most prospective markets in Southeast Asia for enterprise Internet of Things (IoT) adoption. Gartner predicted that by 2018, Indonesia, together with other Southeast Asia countries, will have spent a total of $62 billion for technology. Taking a closer look at the market, there are two upcoming sectors looking to tackle their problems and improve their business performance with the use of IoT technologies. These sectors are agriculture and property. In the coming decade, farming industry will become more significant than ever. UN Food and Agriculture Organization forecast that the world needs to increase its food production by 70% in 2050 compared to 2006. As a key sector of Indonesian economy, will Indonesian agriculture be able to fulfill the growing needs? According to World Bank, Indonesian agriculture comprises of 13.3% of the total GDP in 2014. Despite being a large contributor of Indonesian economy, the agriculture does not have the capacity to catch up to the escalated demand for food with its current farming performance. Take an example of cocoa farming. International Cocoa Organization (ICCO) foresee that demand for cocoa will exceed the supply by 2020. Being 3rd largest cocoa producer in the world, unfortunately, does not guarantee that Indonesia will reap all the benefits. The reason is that, as mentioned by Marc Donaldson, senior partner at On The Ball Consulting, limited sustainable network in Asia hampers its ability to fulfill future cocoa demand. However, the most important factor is due to the unpredictable climate change, causing inefficient production. Indonesian farmers understand that they need to improve efficiency. Turning traditional agriculture into smart agriculture with IoT is definitely key to their survival in the industry. With application of technologies in the field, such as sensors and drones, not only will they be able to access climate forecasts but also to collect crop data. 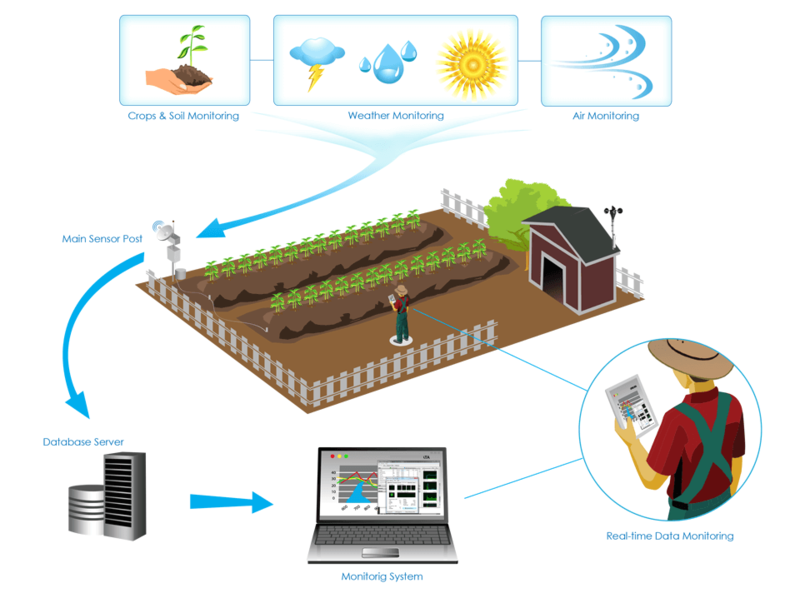 A number of studies on average farm done by OnFarm (connected farm IoT platform developer) showed the success of IoT in agriculture with revenue grew by 1.75%, energy cost fell by 35% to $13/acre, and use of water for irrigation dropped by 8%. The use of IoT in property development sector has become more prevalent. Gartner predict that smart homes (a home equipped with lighting, heating, and electronic devices that can be controlled remotely by smartphone or computer) will use over 1 billion connected things in 2018. The reason for the rise of smart home is the greater value property developers can gain in terms of revenue. But how does that work? IoT technologies allow developers to boost their competitive position in real estate market by going an extra mile to enhance resident living experience. 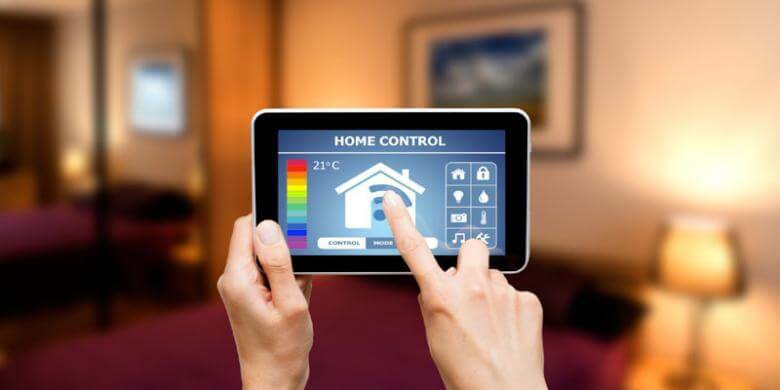 According to Intel, houses with IoT guarantee a safer and more comfortable environment as well as lower energy consumption. It is proven by the survey conducted in the United States by Coldwell Banker Real Estate and CNET (consumer technology news and reviews website) which discovered 45% of smart home product users claim that these products helped them save $1,100 per year and 87% agree that their lives have been easier with everything controlled through their smartphone. Understanding these benefits, several Indonesian developers have realized the importance of integrating technology to everyday life. With the aim to increase its market share, Indonesia’s biggest property developer, Agung Podomoro Land (APLN), has planned to equip smart home technology products for its residential properties in more than five estates. Homeowners may enjoy the connectivity of all devices at home from microwave to washing machine in just one click away. To sum up, even though Indonesia is still a developing country, we believe that there is a potential to venture into the market. Both agriculture and property are upcoming sectors looking forward to improving their businesses with IoT. Find out more about how IoT is impacting Indonesian enterprises at Asia IoT Business Platform Indonesia 2017, 7- 8 August, Jakarta.